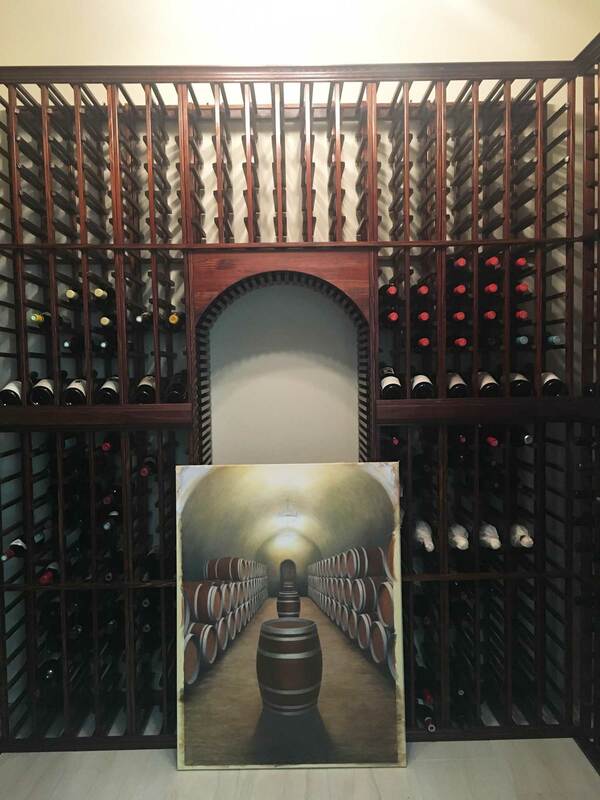 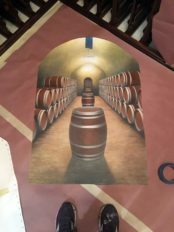 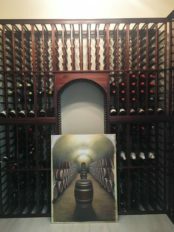 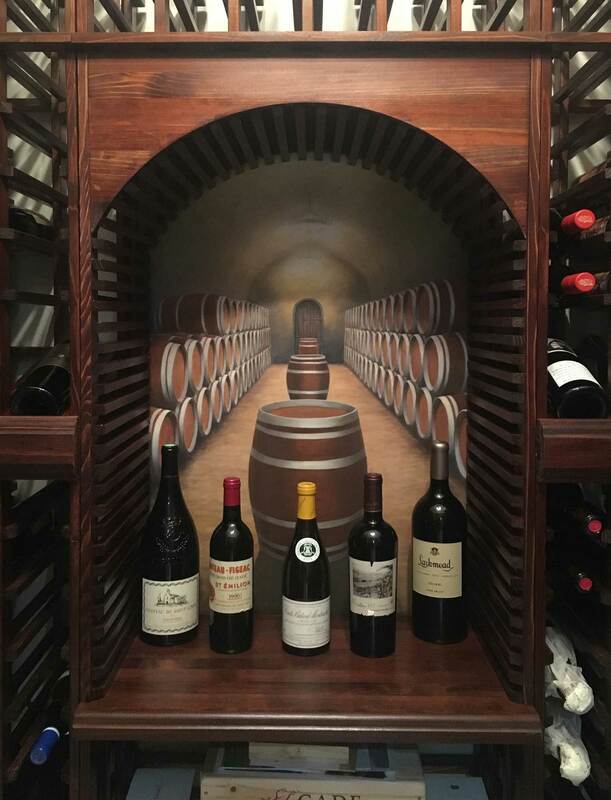 Megan painted this trompe l’oeil mural on canvas to look like you are looking through the wine racks in the wine cellar to the wine barrel room. Carefully using the dimensions of the wine cellar, Megan designed the mural to fool the eye into thinking there is another room beyond the cellar. 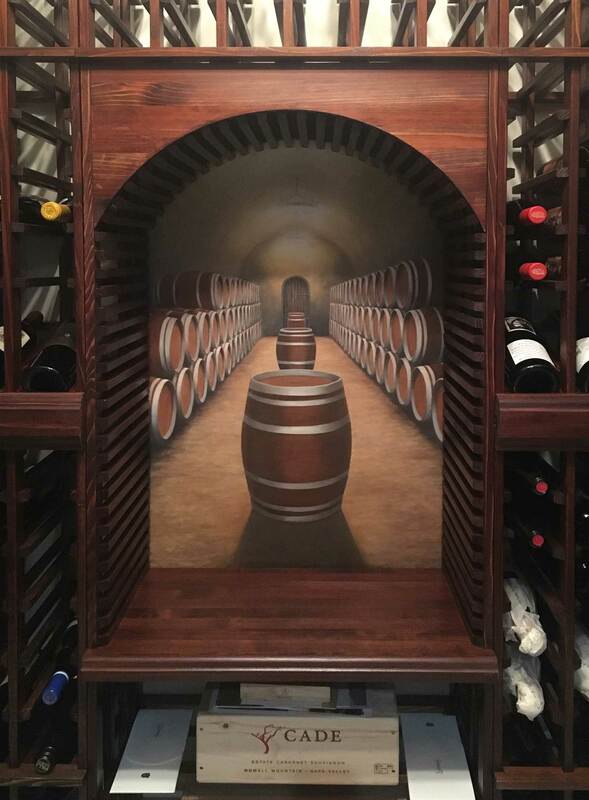 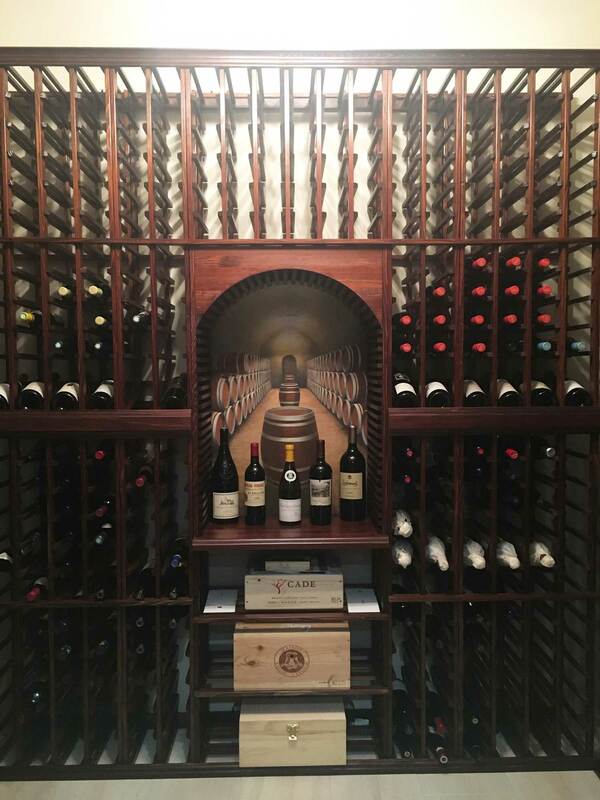 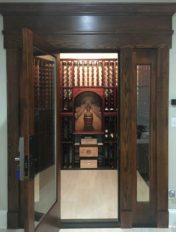 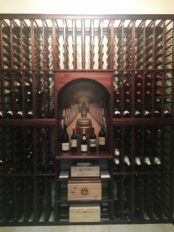 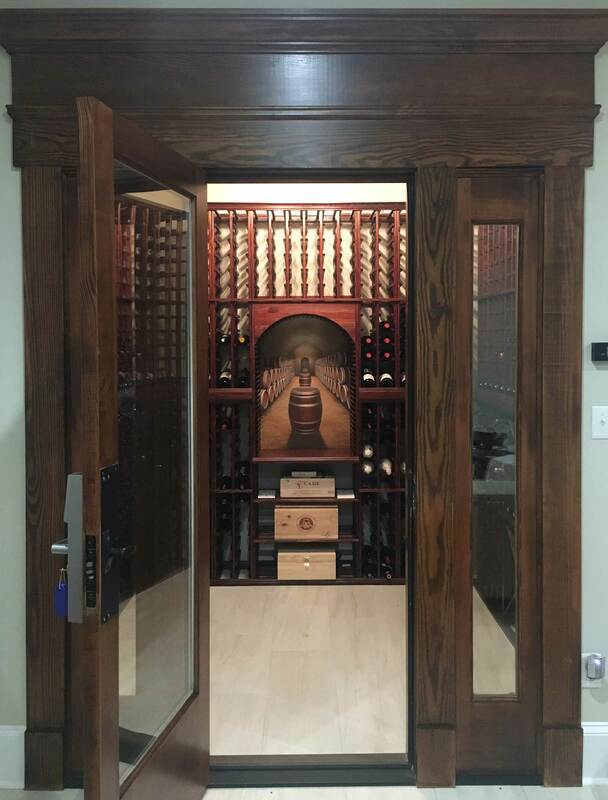 She painted this mural in the studio then installed it in one day in her client’s wine cellar inside of the niche they had designed in the middle of the custom wine racks they commissioned.